Dr. John Cranham, who provides various treatments for temporomandibular joint disorder (TMJ) at his dental practice in Chesapeake, VA, now welcomes those in need of TMJ treatment in Norfolk, VA. With these treatments, Dr. Cranham can mitigate various unwanted TMJ symptoms, including facial aches, jaw joint pain, headaches, difficulty chewing and limited joint mobility. Residents of Norfolk, VA, who suffer from temporomandibular joint disorder (TMJ) can now visit Dr. John Cranham at his Chesapeake practice to receive various forms of treatment. Dr. Cranham is inviting new patients, including ones who do not have referrals, to schedule consultations for TMJ treatment near Norfolk, VA. This professional treatment can offer various benefits for patients, including reducing jaw joint pain, improving joint function and alleviating TMJ-related headaches. TMJ affects many Americans, but a number of victims live without proper diagnosis and treatment. The National Institutes of Health estimated in 2014 that over 10 million Americans live with TMJ. Unfortunately, many might not receive proper care because common symptoms, such as headaches, can be wrongly attributed to other health conditions. Fortunately, Dr. Cranham has extensive experience diagnosing and treating TMJ. He currently serves as acting Clinical Director of the Dawson Academy, and believes staying updated on recent developments and advances in the treatment of TMJ is very important. This knowledge enables Dr. Cranham to effectively recognize this disorder and identify an appropriate treatment option, such as bite correction therapy or use of an oral appliance, for each patient. Dr. Cranham welcomes new patients looking for TMJ treatment in Norfolk, VA, to alleviate the pain and inconvenience that this condition can cause if left untreated. Victims of TMJ may suffer from numerous adverse symptoms, including jaw joint pain and stiffness, generalized facial pain, headaches and decreased joint mobility. In severe cases, patients may experience aches and jaw joint “locking” that make opening or closing the mouth difficult. Dr. Cranham employs a variety of approaches to offer patients relief from these symptoms while also addressing the underlying bite or muscle issues. Since the causes of TMJ are not known, Dr. Cranham urges current or prospective patients to stay alert to health changes that may indicate the disorder is developing. Individuals who notice symptoms such as their jaw locking or jaw joint pain, are encouraged to schedule consultations with Dr. Cranham regarding TMJ treatment near Norfolk, VA, by calling his office or visiting his website. Dr. John C. Cranham is a dentist offering personalized dental care to patients in Chesapeake, VA. Dr. Cranham is a world renowned speaker, founded Cranham Dental Seminars and is acting Clinical Director of The Dawson Academy. 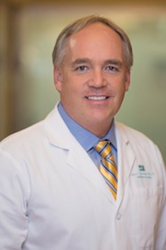 Dr. Cranham is a member of the American Dental Association, American Academy of Cosmetic Dentistry and American Academy of Fixed Prosthodontics among other organizations. He offers general, cosmetic and restorative dentistry, among other services, at his private practice. To learn more about Dr. Cranham and the services he offers visit his website at http://www.chesapeakecenterforcompletedentistry.com or call (757) 656-4109 to schedule an appointment.